The University of Ghana is the largest university in Ghana and was founded as the University College of the Gold Coast by Ordinance in 1948 for the purpose of providing and promoting university education, learning and research. Among others, the University of Ghana comprises a College of Health Sciences (CHS). This College is an amalgamation of health related disciplines within the University of Ghana that train health professionals. Their mission is to produce highly qualified and competent health professionals and medical scientists to provide promotive, preventive and curative services to meet the health needs of the nation and the global community through world class excellence in teaching, research and dissemination of knowledge. The CHS comprises – among others – a School for Public Health with the Department of Biological, Environmental and Occupational Health Sciences (BEOHS). 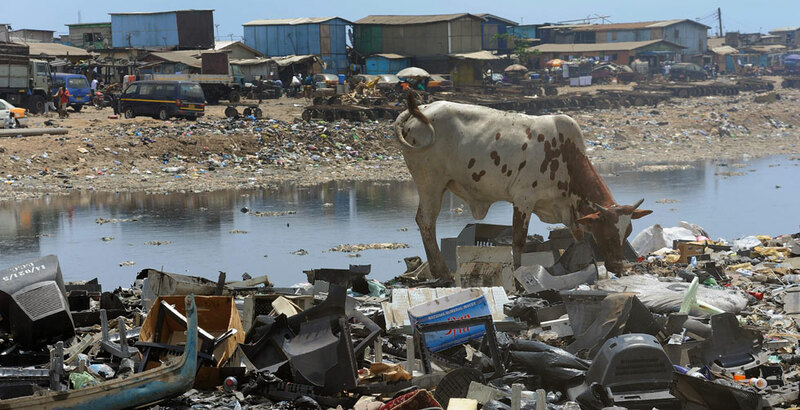 Population growth, rising levels of prosperity and changes in consumer behaviour are generating increasing volumes of electrical and electronic waste (e-waste) in Ghana. However, the country does not have an efficient waste and recycling sector that can recycle and dispose of this waste in an environmentally and socially sustainable way.